What’s in a name? Identity.In the Bible, people were named and renamed constantly based on their identity. Their name became a huge part of who they were. It described them, outlined their character and told the world everything they needed to know in one word. We see people who were born with a name and stayed true to it and we see people who were given new names in scripture once God got a hold of their nature and reshaped it. There’s one “name” we all carry if we exist on this earth that we didn’t have to earn: Son or Daughter. It’s the starting point to who we are. It is the foundation on which we are built, the soil for which our roots develop and the place where we go to find meaning. The title son and daughter describes who you are in relation to, to whom you belong. It’s a title that communicates you have a place. It’s how we are established at birth, stamped on a birth certificate and how we are completed at death, marked on our death certificate. 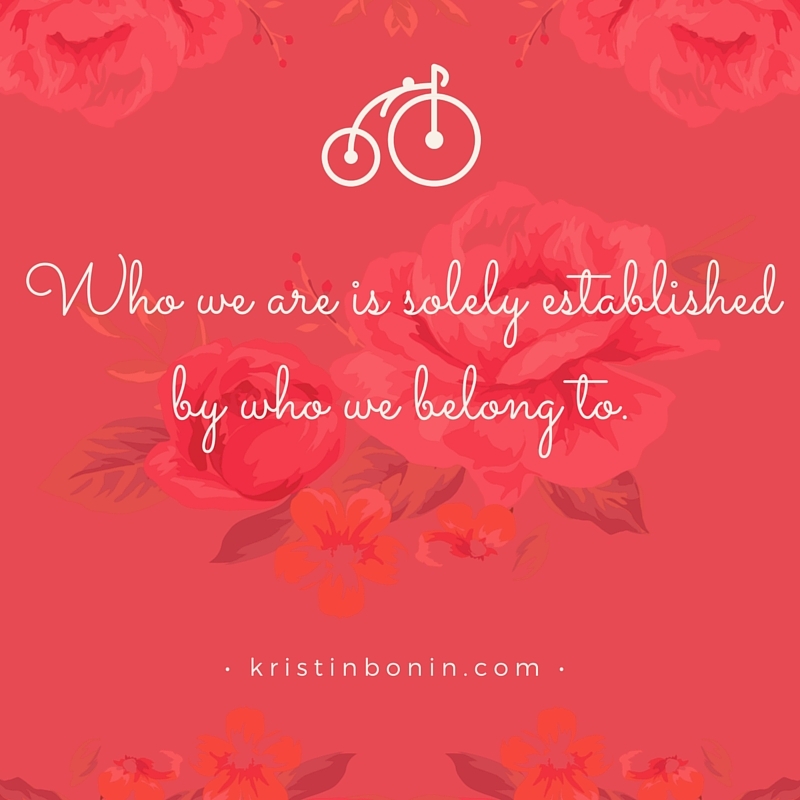 Who we are is solely established by who we belong to. Now those are some words! This statement alone launched Jesus into his ministry, his calling and his destiny. Those words empowered him to take his rightful place and do what he was on this earth to do. Those words planted confidence, strength, hope and trust. Those words changed the world. Parents, we have a job to do and it’s not as hard as you think. We are to “train up a child in the way they should go” (Proverbs 22:6) Did you catch that one, pivotal word “they?” We are to train them in the way THEY should go. Our job is to call out the things that God has placed inside of them. Children are full of giftings, talents, abilities and strengths that are all given by God- for a specific reason and a specific purpose. We’re not supposed to shape our kids into our image, we’re supposed to shape them into God’s. We’re more than parents, we are identity enforcers. It seems every time I turn around, I’m surrounded by people asking: Doesn’t anybody see me? Notice me? Value me? Want me? Is there anywhere I belong? And if I’m honest, I’ve asked every one of those things myself. We all have. We all want to hear: I love you, I’m thankful for you, I’m proud of who you are becoming. Our kids need to hear it and we need to hear it. Before we take on weight we were never meant to carry, may we remember that before our children belong to us, they belong to Him. He created them, He spoke life into them and He has a plan for them. Our job is simple: to be so close to the heart of God that we are able to guide them to the best of our ability and when our ability isn’t adequate enough, He can take care of the rest. In the end, it is not us who call our children into service to the Lord, but Him. He defines us and we agree with Him. God doesn't expect us to have the ability to parent with perfection, He expects us to rely on His perfect abilities.